Model who's worked with brands like Smashbox, TJ Maxx, and South Pole. She was named Playmate of the Month for December of 2015. 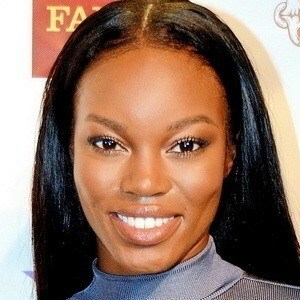 She initially entered the modeling scene in 2006 when she came in third place on America's Next Top Model. She's appeared in a variety of music videos, including "Nothin' on You" B.o.B. She grew up in Columbia, South Carolina with her older brother. Her father worked for the Southern Christian Leadership Conference. CariDee English won Washington's season of ANTM.